Bailey Caravans have been producing caravans for more than 65 years and are one of the biggest manufacturers in the UK. 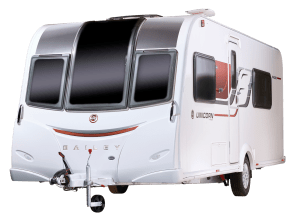 We supply new Bailey caravans across our 3 branches and we have plenty of used Bailey caravans available to view across all 3 of our sales showgrounds in Swindon, Oxford and Reading. The most popular ranges such as the Bailey Pageant, Ranger, Senator, Olympus and Unicorn models are regularly in stock in a choice of layouts and specification. And remember all of our used caravans come with a free comprehensive 1 Year warranty. Lunar caravans are synonymous with style and luxury and pride themselves on producing lightweight caravans that are easy to tow. Rest assured though that these caravans are still packed full of goodies and specification. We have a great second hand caravan selection of their popular ranges such as the luxurious Clubman and Delta ranges through to the Lexon and Quasar ranges. For all first time caravanners we offer a discounted accessory starter pack to get you up and running. Sprite caravans are one of the oldest brand names still operating in the UK market and they continue to thrive. 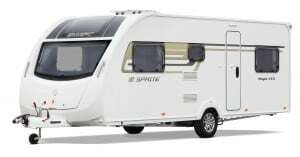 Lightweight and affordable, new and second hand Sprite caravans appeal to couples and families alike. 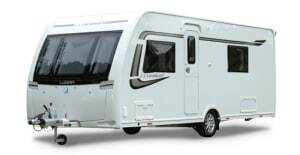 As a result our used Sprite touring caravans don’t tend to stay on our forecourts for long! Ranges such as the Musketeer, Major and Alpine remain popular and can be complimented by using an awning so you can double your living space whilst you are on holiday. We supply new Sterling caravans from our branches in Wiltshire and Oxfordshire and as a result we see a lot of used Sterling caravans appear on our sales grounds. Backed by the Swift Group, these caravans are suitable for novice and experienced caravanners alike. Older ranges such as the Europa often come into stock whilst the Eccles and Eccles Sport ranges remain popular. 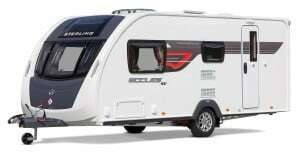 Let us help you find the right caravan to suit your requirements. We have a large selection of used Swift caravans on display at each of our 3 branches, from recent models such as the Challenger, Challenger Sport and Conqueror to older models such as the Corniche and Charisma. Many of our second hand Swift caravans already come with a high specification but be sure to browse our accessories both online and in store for those products which might make your holiday extra special!